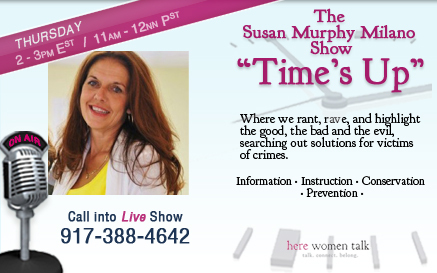 Time’s Up with Susan Murphy Milano: Everything Old Becomes New Again! Everything Old Becomes New Again! As Pastor of Naperville Christian Church, Schori has had the opportunity to be more than just a Pastor giving a sermon each Sunday and teaching the lessons of the Bible to his congregation. Neil’s works go far beyond the pulpit, and as a young, well versed individual, he speaks to those who may not otherwise hear his messages. Neil has devoted much of his time and talent, not only with providing aid to Haiti, but also advocating and assisting victims of violence within his community. He is listed on the National Registry as a Certified Trainer on Document the Abuse (documenttheabuse.com) and is available to train for first line responders in the E.A.A. Model of Approach. Neil is currently organizing others in the faith based community to embrace the issue of intimate partner violence and urging them to take a larger role in it’s prevention by reaching within each church and community to provide the simple, but effective procedures as seen at Document the Abuse. Susan Murphy Milano has worked with victims of violence for over 20 years following the death of her mother at the hands of her police officer father who brought the violence of the streets of Chicago home each day. Green to the gills on how the “system” worked, Murphy Milano hit the streets vowing to change the way the world looked at victims of violence and improving on services and procedures available to women like her mother. One of those surviving victims from the past will join the show to discuss how she was badly beaten and left for dead. One of several very high risk cases that were passed to Susan Murphy Milano as a last resort, Jackie Keys will recount what it was like back then, in the early 90’s, what she was taught to do to survive and move into a new life, free of violence and the abuser who attacked her. Along with Jackie Keys from the past, Tracey Murphy makes another appearance relating present day procedures, lack of resources, and the overall climate in assistance for victims of abuse. Tracey will talk about what helped her and her children get out of an abusive relationship and what she’s doing today to keep her family safe from the abuser.